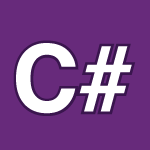 We start learning about object oriented programming in this part of my C# tutorial. We’ll cover Classes, Methods, Fields, Constructors, Static Classes, Methods and Fields, Structs and Nullable Types. I’m going to cover OOP over a few videos to make sure everyone completely understands everything. All of the code follows the video below. For best results, print it out and take notes in your own words and then ask me if you have any questions.